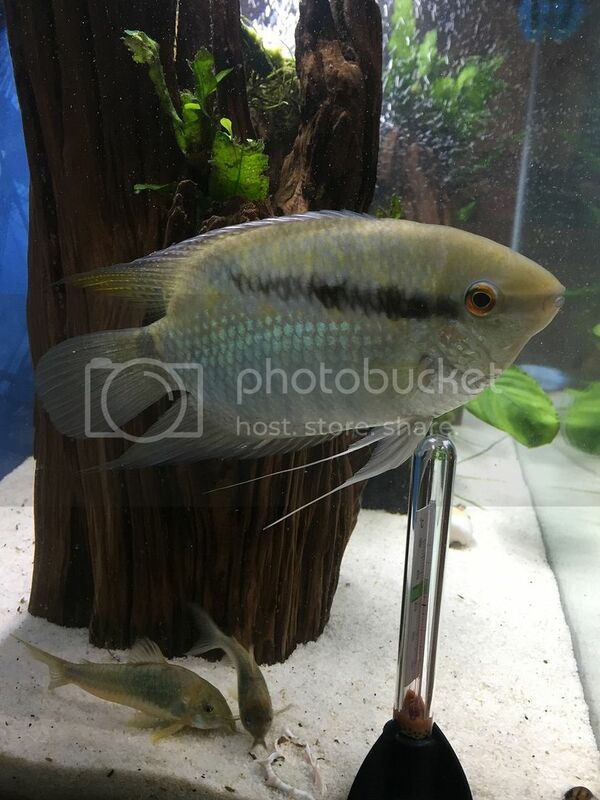 Aquarium Forum > General Freshwater Aquarium Topics > South American and American Cichlids > Festivums! I haven't been on here in a while so I thought I'd show off my boys. They're both about three years old and must be separated or they will fight constantly. They killed the third male I had. When I first got them I was under the impression they were peaceful. Nice don't see these guys much any more. 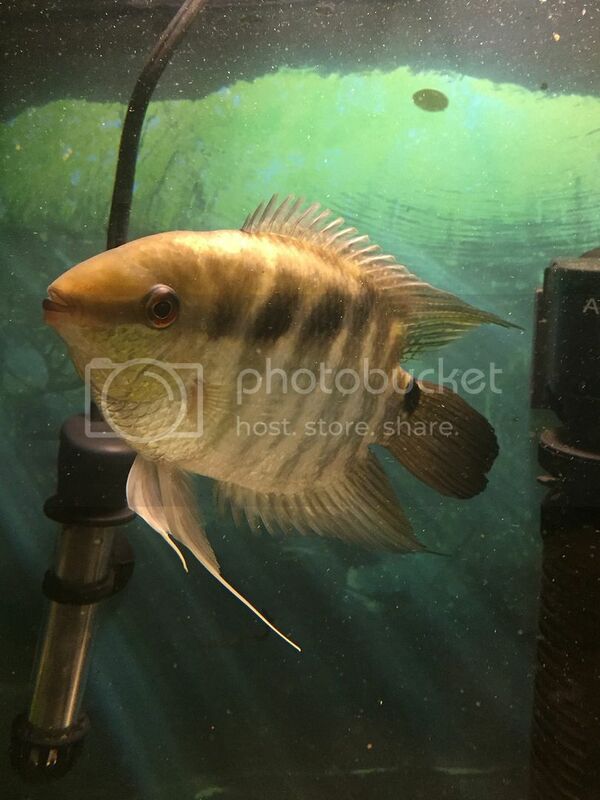 They used to be the go to med size cichlid. I've always thought it's A. maroni. Only thing I don't like about them besides destroying plants is how bitey they are. If I put my arms in their tank to replant or even clip on a cucumber slice they attack. 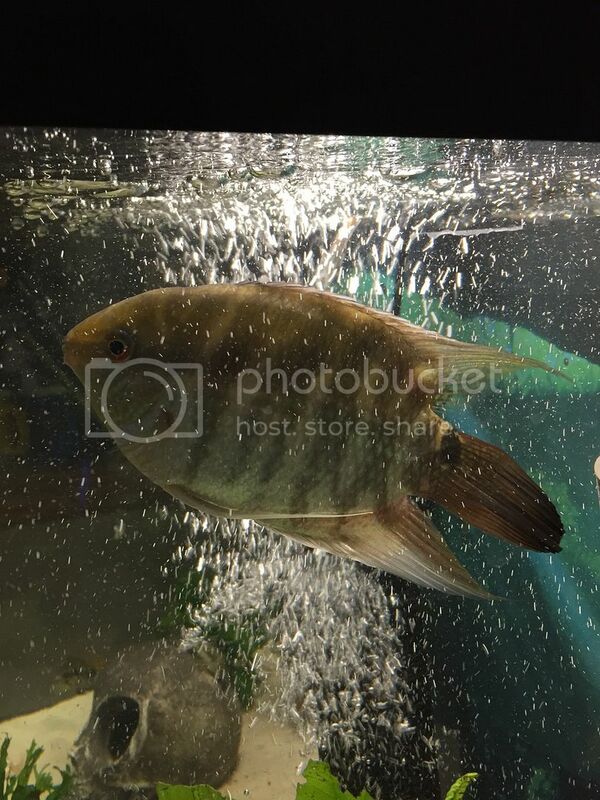 My severums were the same way I guess. I've often thought about trading one but can't bring myself to part with them I've had them so long. I still regret selling my large sevs. Normally a 75 but that last pic is from my quarantine tank. I had to place him somewhere quick to stop the fighting.